Newly promoted Al Salam (SBL) added to their roster 30-year old American swingman Antonio Haymon (198-102kg-88, college: Lee). 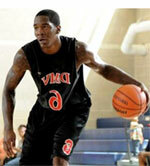 He is the second import player in the roster as Vincentian Akeme Smart signed here earlier. It is actually Haymon's comeback to Al-Awamiyah as he has played here before. He played last season at As Seeb in Omani D1 league. The previous (16-17) season Haymon played at Al Salam. He also spent few weeks at Al Khor (also in D1) in Qatari. The other team Haymon played shortly was Hoops Club (Pepsi LBL) in league where in 6 games he recorded 13.8ppg, 8.3rpg, 1.5apg, 1.0spg and 1.0bpg. The list of the past achievements is quite long as among others Haymon won Saudi Arabian League championship title in 2016. He was also voted New Comer of the Year back in 2011 at his college time. He has played previously professionally in Mexico, Romania (CS Dinamo Bucuresti), Saudi Arabia (Al Ittihad and Al Khaleej), Peru (Regatas) and Thailand (Mono Vampire). 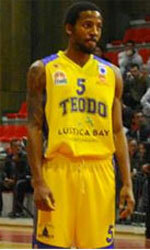 Haymon attended Lee University until 2011 and it will be his eighth season as a professional player.